Anyone, anywhere can get involved and give back in a way that’s meaningful to them. There’s no minimum or limit to how people can do good. We’re proud to be a part of the global celebration of giving. Join us in raising awareness about kidney disease and organ donation. Donations made on Facebook are eligible to be matched, dollar for dollar. Click here to make a contribution on our Facebook page! 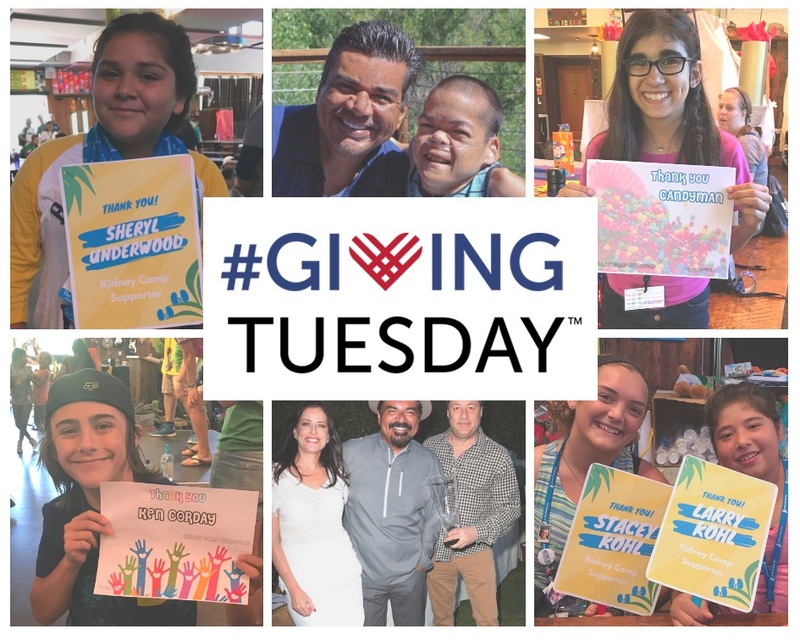 The George Lopez Foundation is a 501(c) (3) charitable organization; Federal Tax ID #27-1434363. Please save this receipt for your tax records, and consult your tax advisor for specific questions as to deductibility of donations. In general, the following guideline applies to charitable donations as they pertain to the George Lopez Foundation.